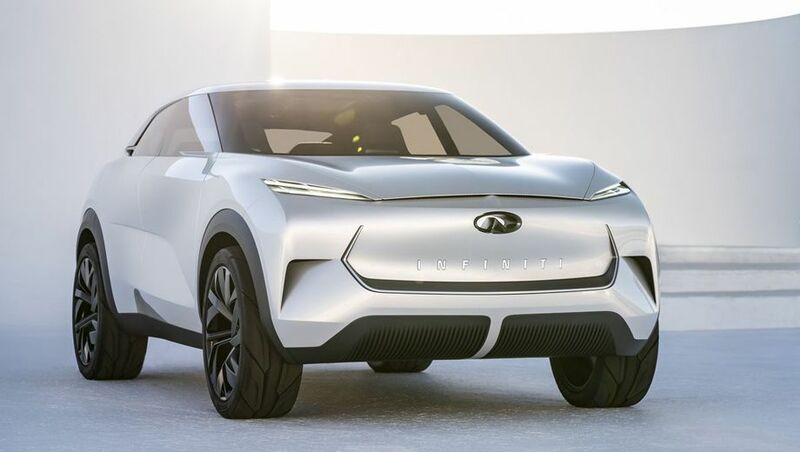 When Infiniti pulled back the covers on its Infiniti QX Inspiration at this week's North American International Auto Show in Detroit, the luxury arm of Nissan wasn't just showing off an electric 'crossover' concept – it was hinting at what we'll see when the brand launches its first fully electric SUV in the next decade. And it's likely to be a decade full of electric SUVs. At a forecasting breakfast the morning of the debut, Cox Automotive analysts said crossovers and SUVS will be the next dominate segment in the automotive market –even more so as the market for them tends toward high-performing electric power. “SUVs have become cars with SUV bodies sitting on top of them,” said Cox Automotive's Karl Brauer. "It used to be a big delta divide in performance if you got an SUV over a car. But now they basically feel like cars. The vehicles at this (Detroit) show point to that now more than ever." As part of the Renault-Nissan-Mitsubishi Alliance – an agreement among those automakers to share intelligence and components – Infiniti is well-suited to have its own electric-powered vehicle, even though it's one of the last premium or luxury brands to show a working example. Audi and Jaguar have already put all-electric SUVs into production. The chiseled QX, which looks not unlike a crouching predator, is a strong step in the right direction – if you’re going by looks. It shows that Infiniti is tapping into what makes it unique. Traditional Japanese design principles shape and inform the Infiniti QX Inspiration. From the outside, Infiniti says, the car incorporates elements of origami, with the lines on the grille-less front matching the look of creases in folded paper. The thin front headlights and a single rear taillight add to the effect. Twenty-two-inch wheels and rear edges that seem to fold in toward each other at the back make the car look muscular – even stocky. 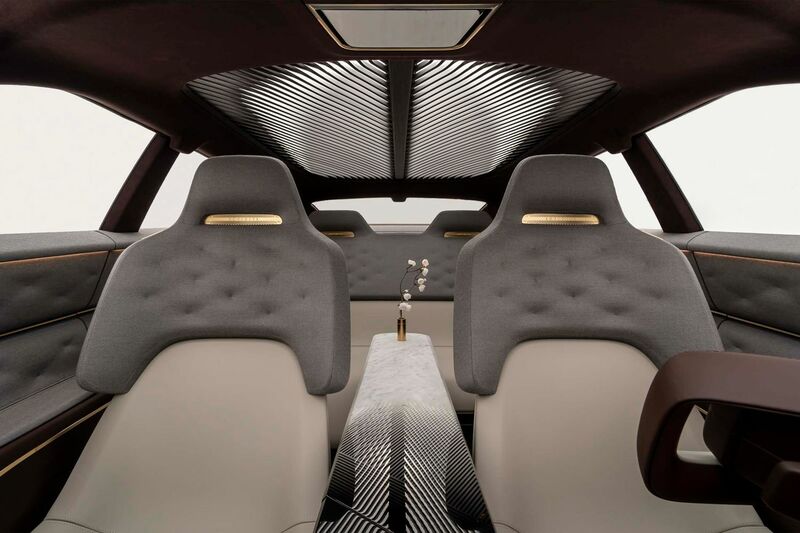 Inside, the QX is meant to feel like a lounge and follows the Japanese principle of omotenashi, or warmth of hospitality in a given space. 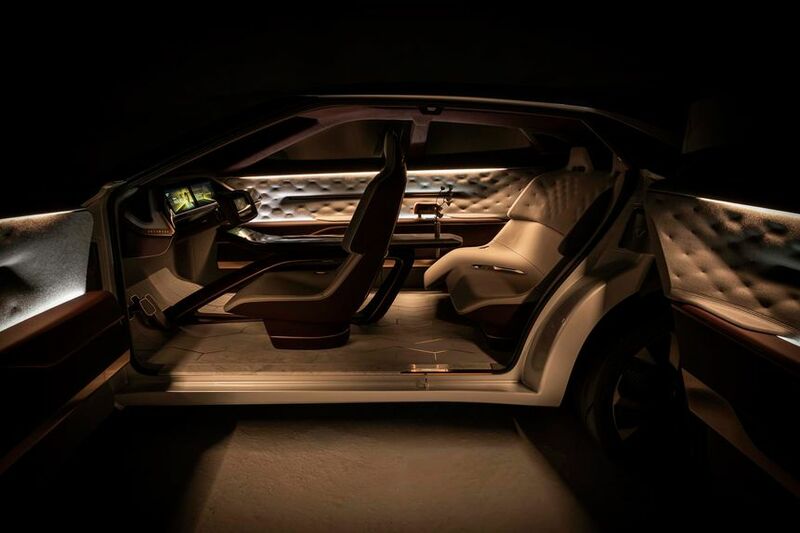 Since it lacks a transmission, and the battery pack sits low, beneath the white suede floor, there’s lots of flat space through the center of the car. 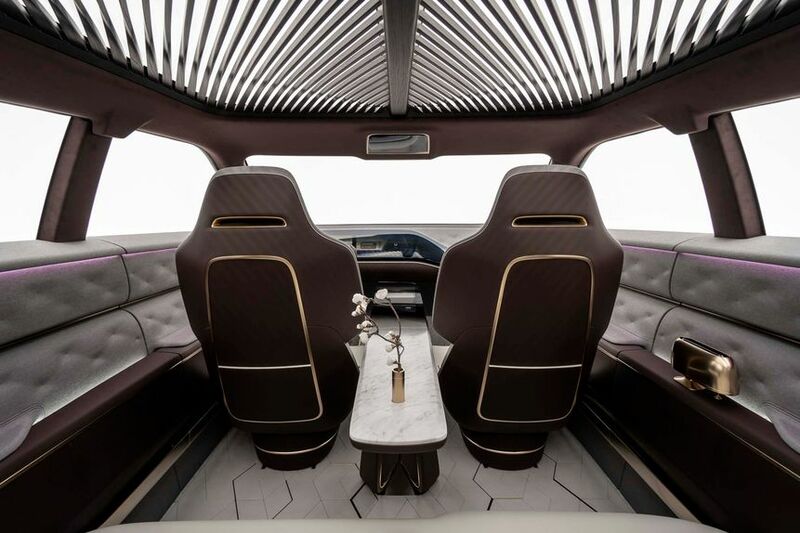 That follows the idea of ma, Infiniti executives explained at the debut – that is, how open spaces between lines create tension and anticipation. There’s a cabin headliner made from red cedar, a marble center console, and coloration inside and out to reference the white snow of Mt Fuji and ancient Japanese lacquerware. 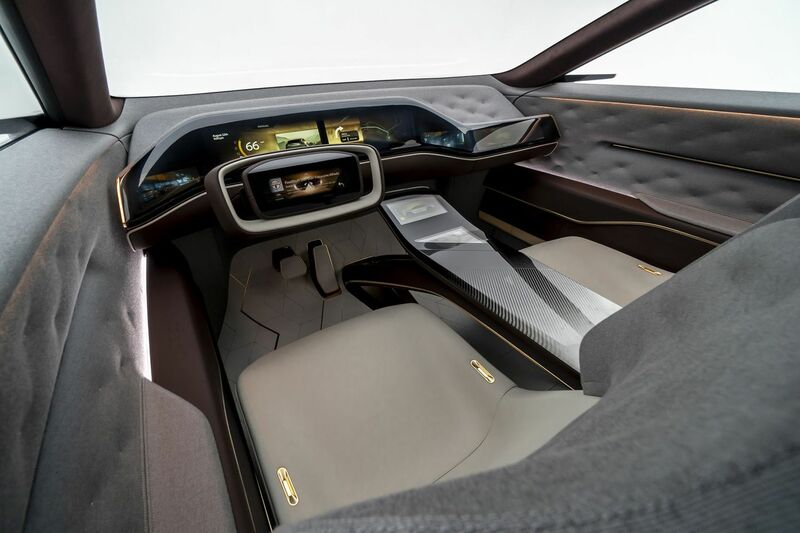 Technology inside the Infiniti QX Inspiration is limited to this part of the car, mostly dominated by a gold-tinted dashboard monitor that spans the entire width of the vehicle. Elsewhere, there’s a “dramatic reduction” in the number of buttons required to control temperature, sound, navigation, and other systems. 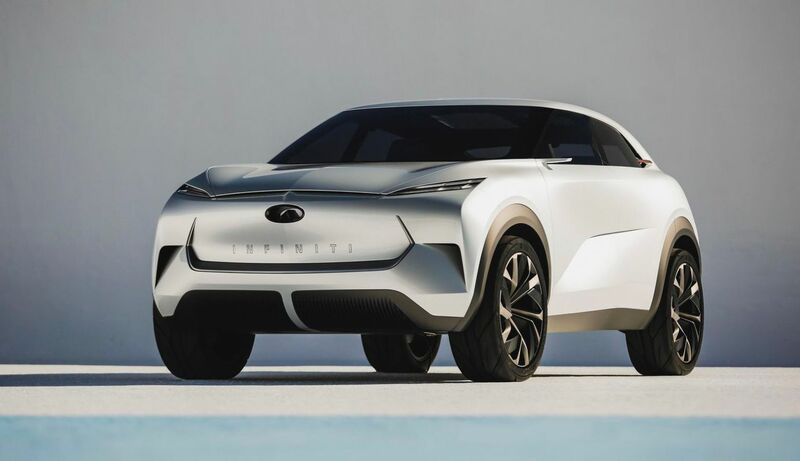 This all looks vastly different, and more realistic, than the other electric prototypes Infiniti has shown, such as the Rocketeer-like Prototype 10. 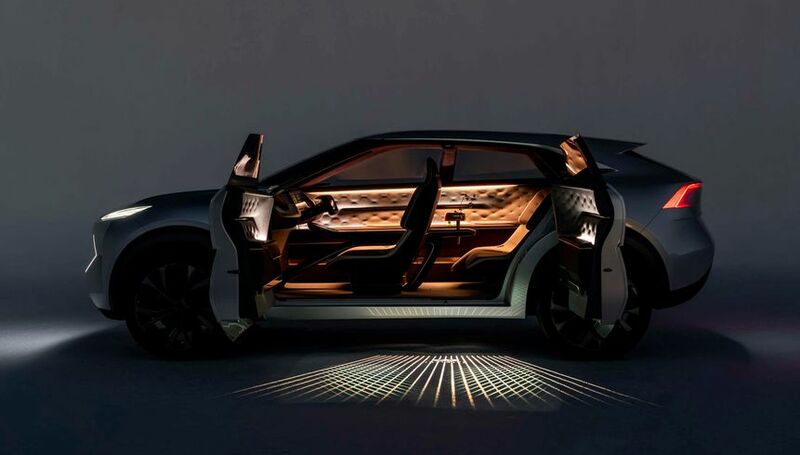 “Infiniti, for a lot of reasons, has been very much middle-of-the-road for many, many years and has tried to do too many things,” Infiniti president Christian Meunier said during a private interview before the debut Monday. “We don’t need 50 different models like the Germans. 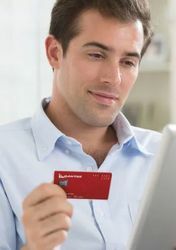 We need the ones that will give us the edge in the marketplace. That means we can’t be the car for everyone – and that’s the big shift that is happening now for Infiniti." 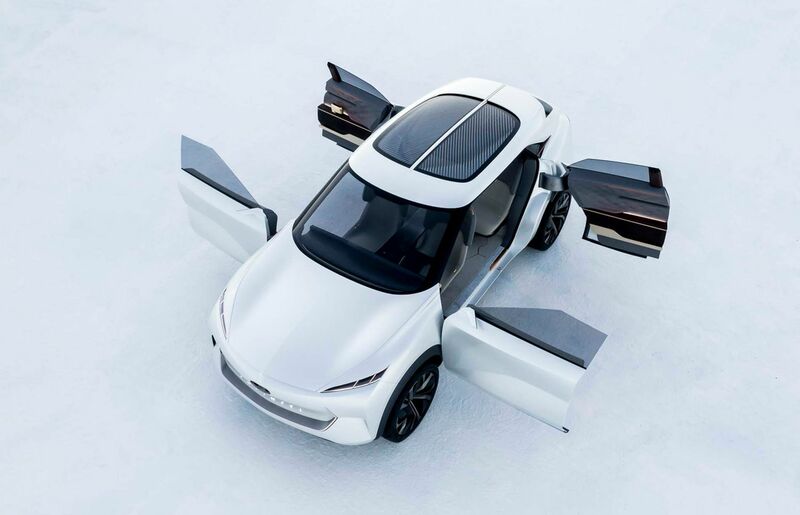 Like other electric and self-driving concepts from BMW and Aston Martin, the car is fully drivable by a human hand. But the steering wheel and lower pedals retract if the driver wants to hand over driving responsibilities to the car. Infiniti hasn’t released technical specifics of the QX, such as the range of the vehicle or how fast it could get to 100km/h, but at this point, that would be speculation at best. 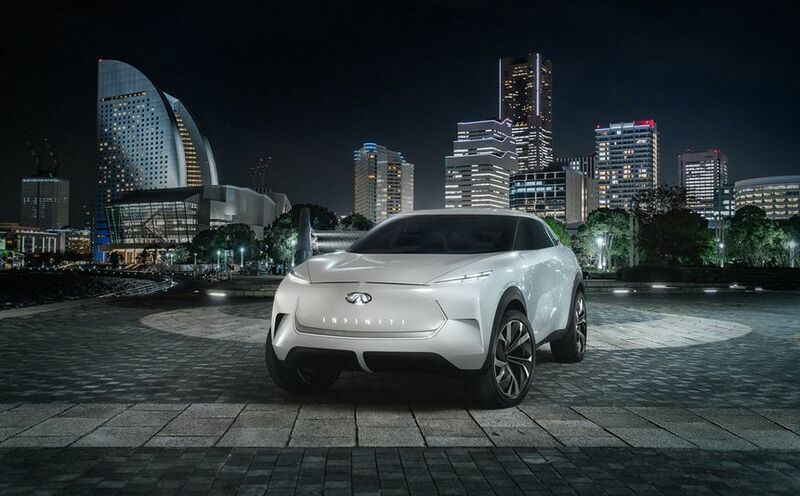 Comment on "Infiniti's QX Inspiration electric concept combines beauty and power"